Users utilizing the new Outlook Integration with Inbox features may experience the "Your session expired" error message when switching between emails they may also be prompted for login when they switch between different emails in Outlook. Users should receive a notification email when tasks are assigned to them when they have enabled the setting. The notifications are not sent when a task is created and assigned from Lighting for Outlook/Gmail with a publisher action. 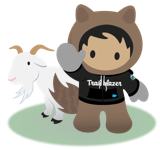 Recurring Events - When deleting a future series from the first occurrence from Salesforce, the Synced events will not get deleted from O365, and the same applies to series events delete in O365 will not get deleted in Salesforce. In Gmail Integration w/Inbox, after using the Insert Availability feature, users get the error message "Email recipients have changed. Add your availability again" when editing the email, even if the list of recipients has not changed. The selected time slots are cleared when the error pops up.